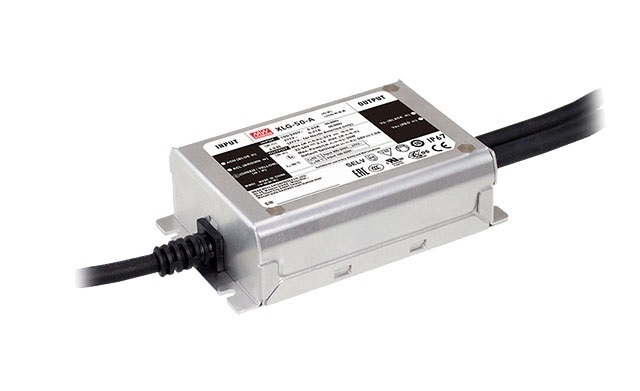 For LED luminaires application, MEAN WELL officially releases the new generation waterproof LED driver series—XLG series. The whole XLG series, which has been highly expected by the market, covers from 25W to 250W. It can be used for LED Bay light/Street light/Horticulture lighting and flood light applications. XLG series applies the constant current and constant power design, which remarkably enhances the convenience of integrating model selection. The design of XLG Series makes the model selection easier and reduces the pressure of stock. The new XLG-25 and XLG-50 series are the two series launched. These products adopt most of features from the previous ELG series. XLG series are the same metal housing design with only 2/3 length of the ELG series. The AC input range is from 100 to 305V, avoiding the problem of derating the input range. The products have also certified with safety certificates (CUL/CCC/CB/CE/ENEC/RCM/BIS/KC/PSE) and are suitable for globally certified cables. Other features include a wide working temperature range (Tcase: -40℃~90℃) and a three in one dimming function to meet needs of different industrial environment. 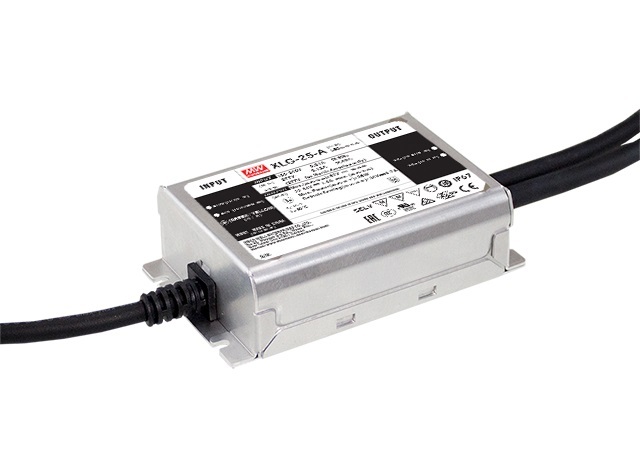 Moreover, XLG-25 and XLG-50 series are equipped with input over voltage protection function for the India market.